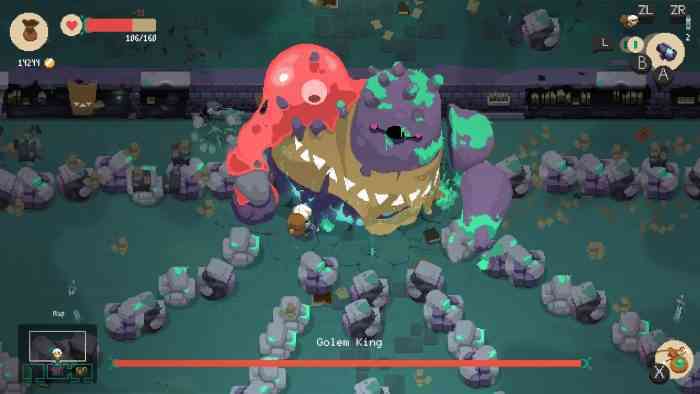 Moonlighter, a 2D action-RPG, is launching on the Nintendo Switch this November, according to an official Tuesday announcement. It’ll be available both in retail stores and in Nintendo’s eShop. Moonlighter is about a shopkeeper named Will who secretly wishes to be a brave hero and likes to go on adventures. Its gameplay involves managing a shop, upgrading your weapons & equipment, and exploring dungeons for valuable loot. We reviewed the PS4 version of the game earlier this year and gave it an 83 out of 100 score. What do you think about this game coming to the Switch? Does this look like a game you’re interested in picking up? Let us know your thoughts and opinions in the comments section below!